Paul Ernst Strahle, one of the most successful racing drivers during the 1950s and 1960s, passed away October 27, 2010 at the age of 83 in Schorndorf, Germany, his place of birth. Paul Ernst Strahle was born in Schorndorf on September 20, 1927 as the son of the Swabian aviation pioneer Paul Strähle. After the end of the Second World War, he successfully completed a mechanical and commercial apprenticeship in his parents‘ car and motorcycle business which he then built up into a successful Volkswagen and Porsche dealership in the following years. From 1951 onwards, Paul Ernst Strahle also devoted himself to motorsport with great passion: he achieved his first successes, including a class victory in the “Mille Miglia”, in his VW Beetle that was dubbed “Dapferle“ and was fitted with a Porsche engine. He became one of the most successful sports car racing drivers in Europe in the Porsche 356 from the second half of the 1950s onwards. 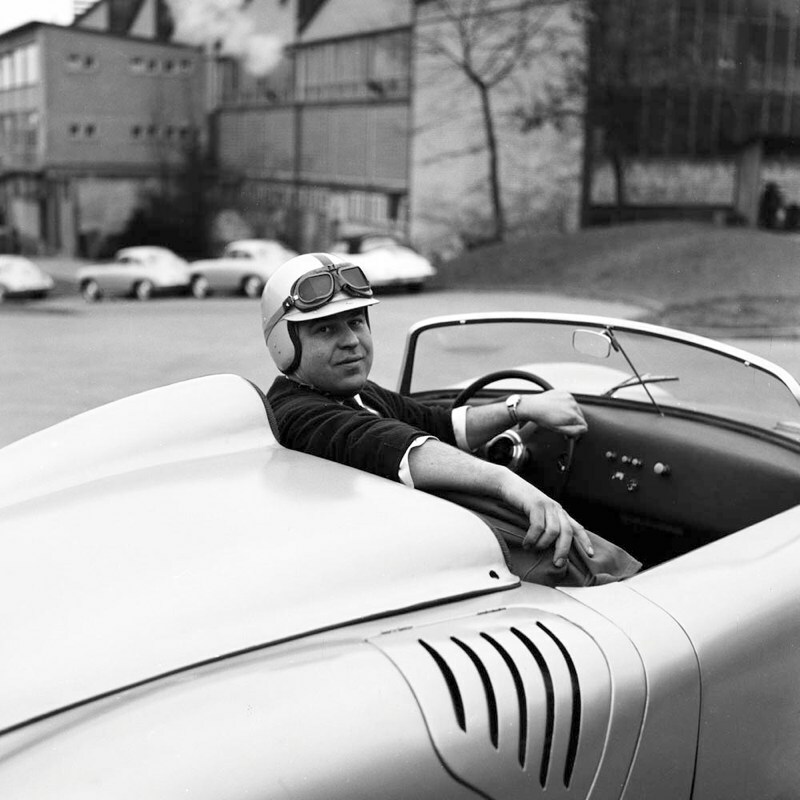 His long list of victories included countless class wins in major races such as the “Mille Miglia“ in Italy, the 1000 Kilometre Race on the Nürburgring or the “Targa Florio” in Sicily. Among his most important rally successes were overall victories in the Adria Rally (1953, 1956), the Tour of Belgium (1957), the Liège-Rome-Liège Rally (1959) and the Tour of Corsica (1960). The former German Motor Racing Champion (1955), European Rally Vice Champion (1956) and German Rally Champion (1958) ended his active motorsport career in 1963 in order to concentrate more on his flourishing car dealership. In 1966, however, he set up the racing team “Strahle Autosport“ which achieved numerous successes with Porsche models in various race series over a period of almost three decades. From 1977 onwards, Paul Ernst Strahle also dedicated himself to historical motorsport. In his famous Porsche 356 A Carrera with the registration number “WN-V2”, he became a highlight of many classic car events in which he naturally came out on top as the winner on numerous occasions. Paul Ernst Strahle had a close relationship with Porsche right up until old age. He was a regular guest at events in the new Porsche Museum in Stuttgart-Zuffenhausen where last year, for example, he presented his Porsche 356 “V2” racing car as a loan item.